Helen Eckert is a Special Counsel in the Antitrust and Competition Practice Group in the San Francisco office of Sheppard Mullin. Helen's practice focuses on antitrust and unfair competition litigation and representation of international companies in antitrust investigations by the U.S. Department of Justice. She is also experienced in counseling major corporations with respect to standard setting activities, vertical pricing and distribution practices, and mergers and acquisitions. 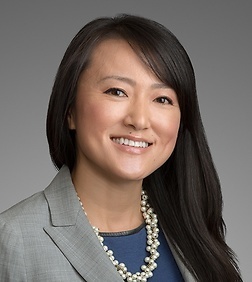 Helen has represented international corporations in large antitrust litigations, including direct and indirect class actions and multi-district litigations, involving allegations of international price fixing, monopolization, and a variety of other exclusionary conduct. She has also represented non-U.S. corporations in criminal antitrust investigations by the U.S. Department of Justice, managing high-volume electronic discovery and review in foreign languages and coordinating parallel investigations in foreign jurisdictions. She has represented clients including Samsung, Philip Morris, Epson American, and China Mobile. Prior to joining Sheppard Mullin in 2008, Helen was an attorney at Heller Ehrman, where her practice focused on federal antitrust litigation and criminal antitrust investigations. Representing Samsung against direct purchaser actions in federal court involving claims of price fixing of cathode ray tubes (CRT). Representing Samsung SDI against multi-billion dollar price fixing claims brought by Motorola Mobility involving thin film transistor liquid crystal display products (TFT-LCDs). Providing antitrust counseling to trade association in footwear and apparel industry regarding development of restricted substances list. Providing antitrust counseling to U.S. subsidiary of international corporation regarding negotiations with market participant involving access to inputs. Providing antitrust counseling to interested third party corporation in connection with Federal Trade Commission’s evaluation of proposed acquisition in the commercial audio sector. Represented Lions Gate Entertainment and Summit Entertainment in federal court against monopolization and attempted monopolization claims involving The Twilight Saga movies. All claims against Lions Gate and Summitt were voluntarily dismissed by the plaintiff in response to a motion to dismiss the antitrust claims. Represented Diamond Electric and its U.S. subsidiary in international price fixing investigation by the U.S. Department of Justice in the automotive parts sector. Provided antitrust counseling to non-U.S. corporation and U.S. subsidiary with respect to contemplated collaborative arrangements with leading competitor in semiconductor sector. Provided antitrust counseling to trade association in footwear and apparel industry regarding development of supplier compliance testing. Represented Paramount Petroleum in state court action alleging trade libel and intentional interference claims against leading competitor in asphalt industry. Provided antitrust counseling to leading mobile service carrier group in China regarding standard setting and patent pool issues. Represented Samsung Electronics in multi-billion dollar group boycott claims brought by Rambus under California’s Cartwright Act concerning DRAM products. Represented Memorial Health Services in state court antitrust action alleging a conspiracy among hospitals to maintain compensation levels for nurses in response to overtime legislation. Represented Asiana Airlines in a federal multi-district class action in the Eastern District of New York of direct and indirect purchasers alleging a global conspiracy by air cargo carriers to fix fuel and other surcharges. Also coordinated representation in parallel Canadian class actions. Represented Asiana Airlines in a federal multi-district class action in the Central District of California of indirect purchasers alleging a conspiracy among air carriers to fix fares on flights along the United States-Korea route. Defended Asiana Airlines in a criminal Department of Justice investigation alleging price fixing conspiracies in the air cargo and passenger industries. Represented Korea Kumho Petrochemical Company in competitor antitrust action in the Northern District of California alleging monopolization, group boycott, intentional interference with prospective economic advantage and unfair competition. Represented Philip Morris in indirect purchaser class action in Kansas state court alleging Price fixing in the cigarette industry. Represented LifeLock in federal action in the Central District of California alleging unfair competition in the credit-reporting industry. "District Court Certifies Class in Foundry Resins Price-Fixing Conspiracy Case," Sherman Act Section 1 American Bar Association Volume 5, Spring 2008. Co-Author, "Setting A Higher Standard: The FTC Takes a Tougher Stand on the Ways IP Owners Try to Influence Standard-Setting Organizations"